Web & graphic developer living and working in Novi Sad ! "Sohoy was responsive and patient with me as we explored alterations and modifications to his design. In the end it was his original work that we selected. He was a joy to work with." "Logo was great but business card design was under our expectation." "Incredible work. Creative, and responded quickly to all of my requests. I highly recommend! " "Dear sohoy, Thank your for perfect branding.!" "Top work. Great logo. Thanks Ljubisa"
"Outstanding creative designer with excellent design and communication skills. Highly recommended!" 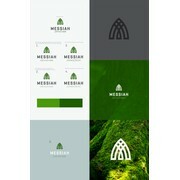 "Great job helping me design a logo for my new modular home building company." "Great ideas, quick response to all revision requests - I'm really happy with sohoy's design of my logo." "Great Guy to work with!! Stylish Designs, Very fast response time, Great communication!! Overall Great designer."